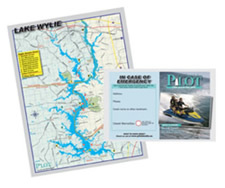 PWC - Lake Norman Personal Water Craft Map - Fishing with Gus! 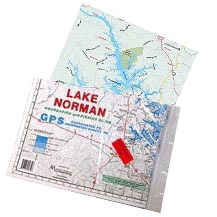 This PWC map is only $10.00 plus $3.00 shipping & handling in the U.S.
Map of Lake Norman from Pilot Media. This is the perfect map for PWC – small and portable – easy to carry.